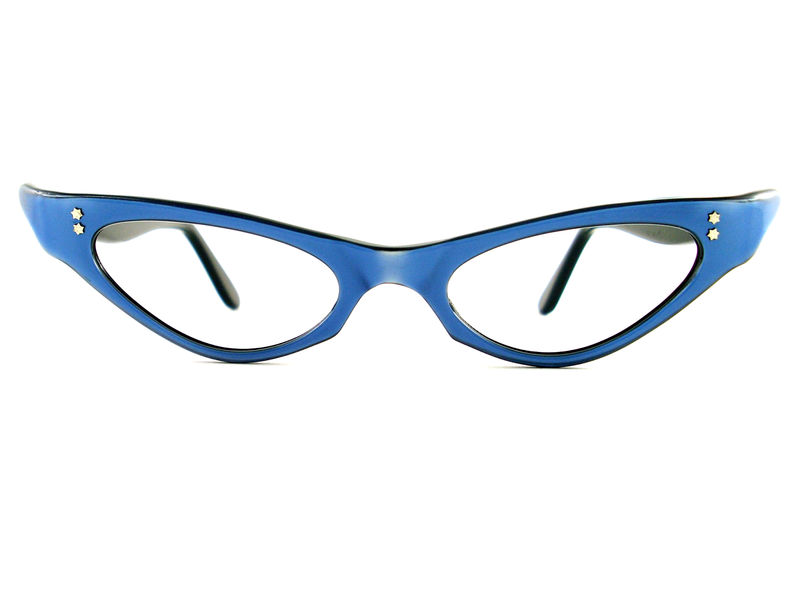 VINTAGE CAT EYE EYEGLASSES VIBRANT BLUE OVER BLACK GLOSS FRAME. SCULPTURED WING CURVES GENTLY TOWARD THE ARM. 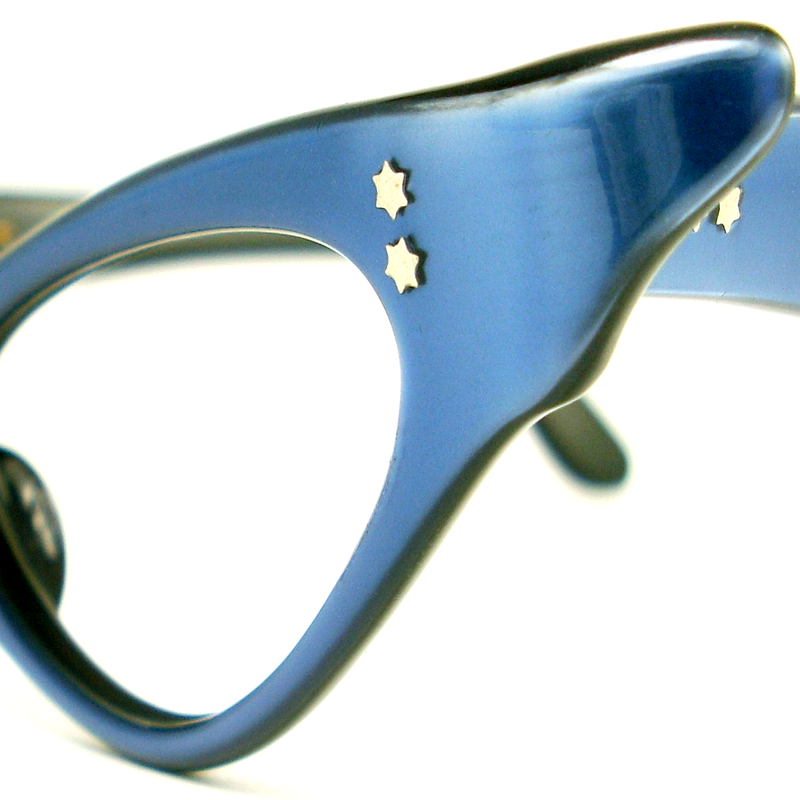 BEAUTIFUL ELECTRIC BLUE WITH TWO STAR STUDS ON THE FRONT AND ARMS. 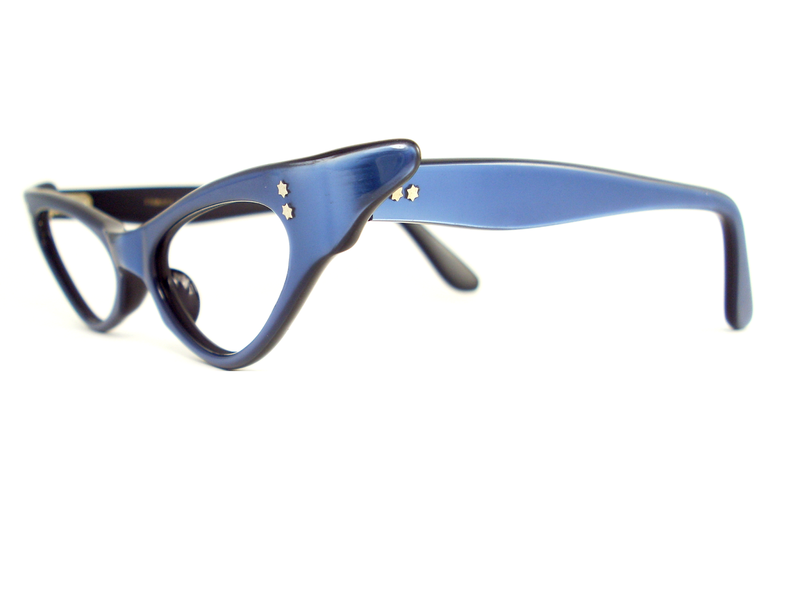 A SLIM LINE FRAME MADE IN FRANCE. THE GLASSES ARE NEW OLD STOCK.